Hello Gardeners! It’s almost time to get your vegetable garden rolling for the 2014 growing season here on Long Island New York. After the miserable winter we’ve suffered through, it’s exciting to think of warmer days strolling the island beaches, barbecues with friends and family and of course fresh veggies that you grow yourself…healthy and tasty! We get ready for the season the same basic way each year. We have a small plastic covered greenhouse that we move indoors from the shed. We sit it in front of a glass sliding door so it gets the maximum sun exposure and as a result creates a nice warm moist environment within. We plant a few different types of seeds that do well started indoors, about 8 weeks before they are moved outdoors and into our organic farm plot. We start with Tomato seeds that we prepared from last year’s crop. The last couple of years we’ve been growing San Marzano tomatoes because we freeze tomato sauce over the winter, and the San Marzano plants make awesome sauce. I had heard that growing them could be a challenge but so far so good. In the 3 seasons we’ve done it we’ve encountered few if any problems with disease or insects….ooops…hope I didn’t just jinx myself! There are several places where you can get the seeds online but we got our original seeds from an organic supply house called GARDENS ALIVE. (www.gardensalive.com ) They carry a variety of organic vegetable seeds. They are also a source of excellent organic fertilizers targeted for specific plants. If you are growing your own, you should definitely check them out. We use their Tomatoes Alive, Vegetables Alive and Blueberries Alive in our plot. We begin by planting seeds in small starter containers and then into the greenhouse they go. Usually we start different peppers, yellow tomato and big red tomatoes in the house. We’ve also started Gai Lan and Kohlrabi (Asian varieties) that seemed to do much better when we started them indoors. As soon as the ground can be worked in the early spring we will sow mesclun greens, beets, radishes, kale, romaine lettuce and snow peas directly into the ground (which I fertilize with the aforementioned products from Gardens Alive. These types of plants love the cold moist spring evenings and usually do very well. By May we have plenty to eat. Last year we put in a large bed of 2 year asparagus roots. I did a heavy mulching in the fall and we are hoping to get a nice crop this season. Asparagus are perennial and we are hoping to reap the rewards with a bit less work than the usual annual crops. It generally takes three years for the plants to produce which is why we purchased two year roots…to get a jump on the process! We’ll see how that turns out. The plants grew well and looked great last year so hopefully they are ready to produce this summer. Once the weather has warmed sufficiently, (usually on Long Island that means after Mother’s Day) we put the tomatoes and peppers outside for a few hours a day for about a week. This allows the plants to be “hardened”….used to the day and nighttime fluctuations in temperature and light. We do this prior to adding the young plants to the garden to avoid shocking them. I have had a few bad experiences and killed my share of beautifual young plants. YOU NEED TO EXERCISE PATIENCE Even if the weather seems mild it’s best to leave them out for only an hour or two each day. We’ll take things a step further in Part 2. Here Comes The Sun! Happy Gardening everyone! Garden Planting and Planning in Progress..Finally!!! This entry was posted in Gardening, Growing Vegetables, The Environment and tagged Garden, Growing vegetables on Long Island, Lactuca, Lettuce, Long Island, organic farming, Plant, Romaine lettuce, San Marzano Tomato, Tomato, Wikipedia. Bookmark the permalink. Amazing what you do with your garden. I was wondering if you had any suggestions if I wanted to grow some veggies in patio pots ? I remember having success with green beans a few years back. Two things you need to remember when growing vegetables in pots. The first is sun, sun and more sun. 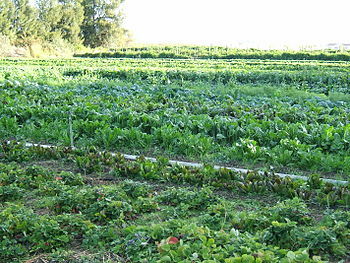 Most vegetables need full sun, at least 8 hours a day. The second thing is water. Pots tend to dry out pretty easily in the sunshine. Check the moisture EVERYDAY. If vegetables dry out they generally make little edible produce and in many cases they simply die off. I guess a third thing to remember is to use a pot that is big enough to accommodate the needs of the plants root system. 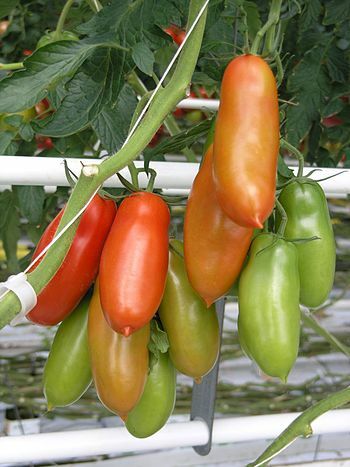 If you are planting a variety of tomato that gets LARGE, then obviously the roots need plenty of room to grow whereas some people like to grow herbs in pots and their root needs are significantly less. Hope that helps. Thanks for advice. Based on this info I’m thinking cherry tomatoes would work and I’ll try the beans again. Any other variety of veggie you would suggest ? there’s even a pigmy blueberry bush that dies well in pots ! actually ANY type of tomato does well in a pot as long as you have 2 plants and the pot is big enough. and they are one of the absolutely healthiest things you can eat!